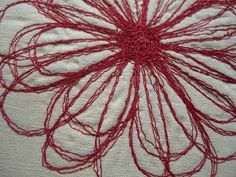 This class is for beginners You will learn the basics of free machine embroidery. You will be shown how to make a new piece of fabric, from using scraps of ribbons and trims. Also, on this class you will be shown how to use free motion stitches to fill in an outlined design. Class price is £25.00 Including Materials.